Each project is well researched, before the translation, transcription, content writing, editing, proofreading, subtitling, voiceover or specific process is started by our experienced teams. 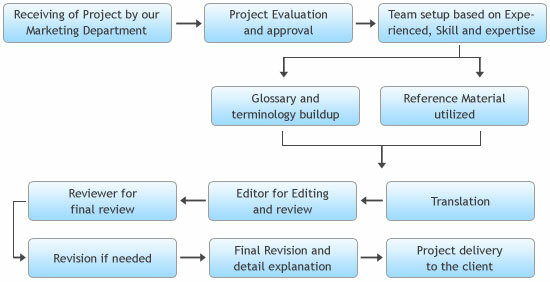 After completion of the final output, each project undergoes our formal validation procedure and then reviewed by an expert of that domain prior to delivery. By using our proprietary translator selection process we research and filter the translators before we assign your project. This ensures that the most qualified and suitable team of writers, translators, proofreaders and reviewers work on your project. We take our clients’ trust in us seriously and hold quality as our guiding principle. After all, it’s not just gaining clients but keeping them satisfied, project after project, which counts. We strictly follow our quality control procedures.